T he old adage “a bird in the hand is worth two in the bush” is certainly true at NBNC, where we have banded songbirds each summer since 2011. In songbird banding research, birds are passively captured in fine nets, measured, and released with a lightweight aluminum bracelet that carries a unique ID number. When the birds are recaptured at NBNC or elsewhere in future seasons, researchers can gain insight into songbird abundance, survival, and demographics. An in-the-hand examination can also reveal anatomical traits indistinguishable via binoculars, such as weight, molt, and breeding status. Over a century of banding has proved the practice to be a safe and cost-effective way to study and protect songbirds. NBNC participates in the Monitoring Avian Productivity and Survivorship (MAPS) Program, an international research collaborative organized by the Institute for Bird Populations. At NBNC, we have tagged over 50 species of birds, and recaptured several individuals in successive years: birds who returned to the property after migrating over 10,000 miles to and from tropical wintering grounds! In addition to contributing important scientific data, banding offers a powerful way to engage children and adults in natural science. 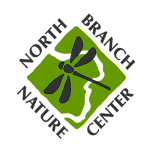 NBNC invites the public to our banding station each summer, and bird-banding demonstrations are often incorporated into the curricula of concurrent summer camp programming at NBNC. Hundreds of visitors have attended banding demonstrations, getting an up-close look at songbirds and experiencing science in action. See our calendar for opportunities to visit our banding station.